SeaBase is an indoor family fun center in Greensburg, Pennsylvania, featuring two giant play gyms, a huge toddler play area, interactive game floor, musical play area, laser tag, laser maze, birthday parties, train ride, kitchen with extensive menu, and arcade with the latest video and redemption games. Your guests will be impressed with our award-winning birthday parties, and our affordable pricing means anyone can treat their little guest of honor like a VIP. Updates, new additions, holiday hours, and ongoing specials. Admission is $8 per child, ages 1-13 (including 1 and 13). Adults are free. Stay as long as you'd like, but no readmission. Socks are required to play. No bare feet anywhere; no shoes on play surfaces. Please supervise your children. At least one adult for every five children must remain at all times. Strictly no outside food or drinks permitted. Play at your own risk. Although we strive to provide a safe play environment, kids will be kids. 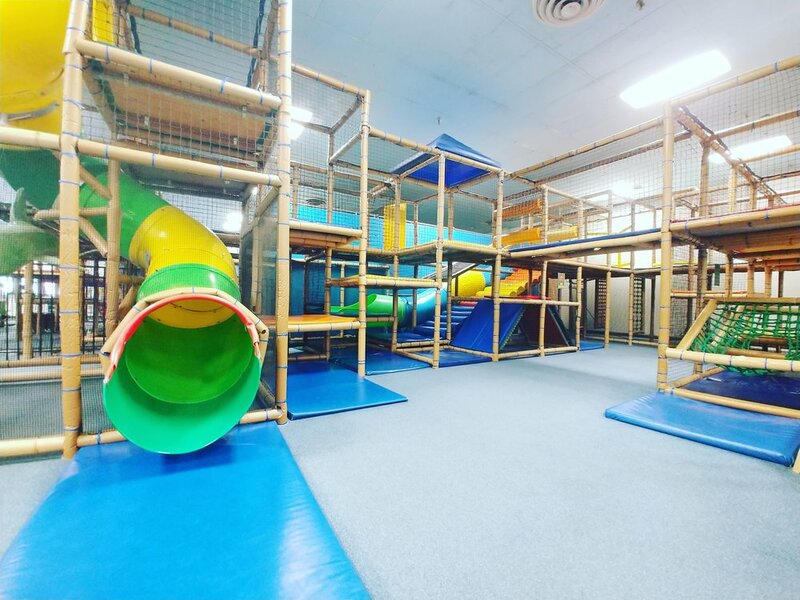 We take the stress out of providing your family with easy, affordable, and above all FUN days out to play. *If planning to arrive within two hours of the posted closing time, it would be wise to call ahead as we may close early if the building empties during that time.